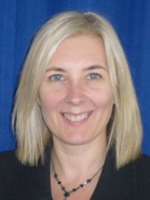 Elaine Harbour joined the Health & Safety Executive in 1998 as a regulatory inspector. In addition to undertaking inspection, investigation and enforcement activity across a range of employment sectors Elaine has held a number of strategic, operational and policy roles within HSE, including developing HSE's regulatory intervention strategy, leading on investigation policy, and as Head of Operations (construction). As HSE Board Secretary she liaised with government Ministers and oversaw the business arrangements of the HSE Chair, Board and Executive Management Team. Most recently Elaine was responsible for coordinating the work of the 382 independent entities who share enforcement responsibility with HSE, developing a statutory Code to ensure they followed evidence led, risk based approach to their regulatory activity. She moved to Dubai in 2014 to provide in-country liaison for HSE’s work with governments across the Middle East.